It was time for selfies after Independiente won their first Copa Sudamericana since 2010. The Copa Sudamericana is the continent's second-string competition, a Europa League equivalent that in terms of importance and prestige comes a long way behind the main event, the Copa Libertadores. But two giants of South American football fought out the final of the 2017 Copa Sudamericana as if it were the biggest trophy in the world. Both had their reasons. Flamengo of Brazil are a massive club, which in recent times have passed through plenty of international frustrations. 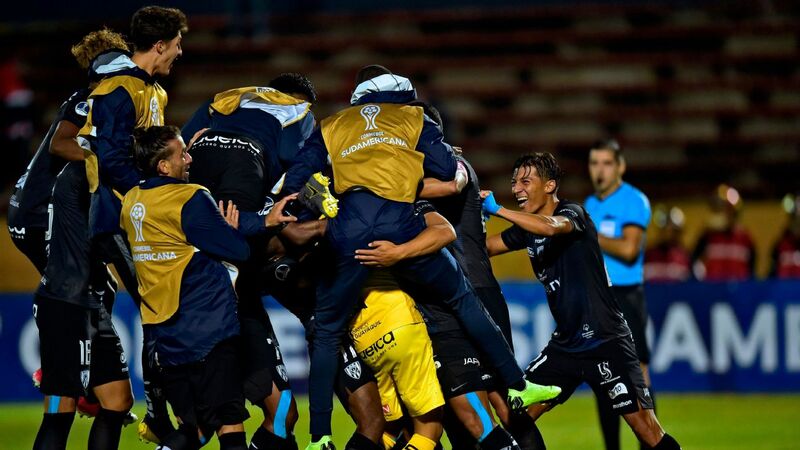 They were only in the Sudamericana as a consolation prize after yet another group-phase elimination in this year's Libertadores. And in recent years, uncharacteristically, the club have given priority to putting its finances in order. The fans have understood, but have also become impatient for a major title. Independiente of Argentina dominated the Libertadores in the early 1970s. They have won that trophy seven times in all, but not since 1984, and their only international triumph in the past two decades was a Sudamericana win in 2010. Both sides, then, were desperate for a morale-boosting end to the year. And that desperation spilled over in the buildup to the second leg Wednesday in Rio de Janeiro. There were clashes between rival fans on the eve of the game, and a stadium invasion on the night. Ahead 2-1 from last week's first leg, Independiente took the field but did not initially line up alongside the Flamengo players for the national anthems. They went to the halfway line and saluted the four sides of the stadium; with a packed Maracana baying for their blood, they gave the impression of gladiators bravely facing their doom. It was clear where the Flamengo threat would come from. In Argentina last week, Independiente had real problems dealing with their opponent's aerial attack. Coach Ariel Holan, whose background is in field hockey, changed his side in an attempt to deal with the problem. In came experienced defender Fernando Amorebieta to give them more height in the penalty area. And Holan picked two holding midfielders to deny Flamengo space in the buildup. It seemed, though, that the search for more defensive solidity had caused Holan to sacrifice some of his side's attacking trio. One of the fascinating aspects of his team has been the fact that any one of three players has been capable of popping up in an attacking position on the left. But now two of them, Juan Sanchez Mino and Gaston Silva, were on the bench, while the other, Nicolas Tagliafico, had his hands full dealing with Flamengo's energetic Lucas Paqueta. And still Flamengo managed to score from a set piece pumped in the penalty box. Both centre-backs were involved when Diego sent in his cross just before the half hour; Juan got a flick on, Rever turned across the face and Paqueta hooked in from close range. Flamengo, though, exhibited the same problem which has dogged them all season: the lack of speed of the centre-backs. Juan, now 38, has been a magnificent player and still has plenty of technical quality. But age has taken its toll, and he is now continually forced to go to ground to make his tackles. And his colleague Rever is a lumbering figure whose lack of mobility was brutally exposed when playing for Atletico Mineiro in the Club World Cup four years ago. The need to protect their lack of pace means that the duo operates very deep. MLS-bound Ezequiel Barco scored the equalizer for Independiente, who won 3-2 on aggregate. The story of the rest of the game was of the problems that this gave to Flamengo -- and the space that it opened up for Independiente. The Argentines were soon level. A routine ball lost in midfield should have been dealt with. But the centre-backs kept retreating, Ezequiel Barco slipped in Maxi Meza, and he was clipped from behind by Gustavo Cuellar. It was a soft penalty -- the ball might well have been running out of play -- but after consulting the video referee Wilmar Roldan pointed to the spot. Up stepped Barco. It was an extraordinary responsibility to give to an 18-year-old, particularly as this was probably Barco's last game for the club before joining Atlanta United in the MLS. But Barco composed himself and slotted coolly home. The match, then, was immaculately poised at the interval. Flamengo needed a goal to force extra time. Independiente retained their one-goal advantage from the first leg, and carried out plenty of time wasting to run the clock down as fast as possible. It was a time for cool heads. Flamengo, though, were overanxious. And that deep-lying defence stretched out the team and made it harder to make elaborate passing moves. On came the talented young Vinicius Junior to run at tiring Independiente defenders. But the longer the second half wore on, the more comfortable Independiente became, passing their way into a controlled level of possession they had rarely enjoyed before the break. Centre-forward Emmanuel Gigliotti looked to have wrapped things up; he robbed Rever, bore down on goal and chipped subtly over keeper Cesar. With a marvelous defensive touch, Juan got back to the line to clear the ball away; like a miraculous David Luiz clearance for Brazil against Spain in the same stadium in the final of the 2013 Confederations Cup, might this be the moment in which the destiny of the title was decided? The answer was no. With Barco their out ball, Independiente were the more dangerous side. Based on blood and thunder rather than science, Flamengo carved out one late opportunity, but Rever shot over. 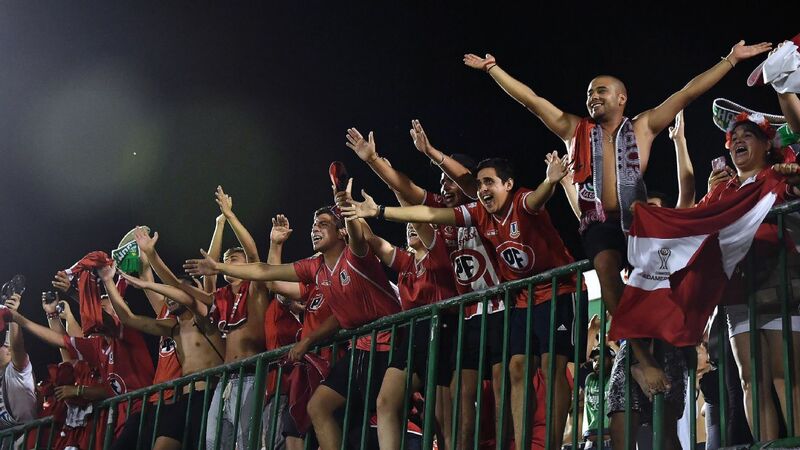 The 1-1 draw gave Independiente the title, and as the frustrated Flamengo fans poured away into the night, the noisy band of visiting supporters got the party going.